Puntzi Lake - Woodlands Fishin Resort, Chilanko Forks, BC. The Chilcotin stretches from the Fraser River valley to the apex of the Coast Mountains. 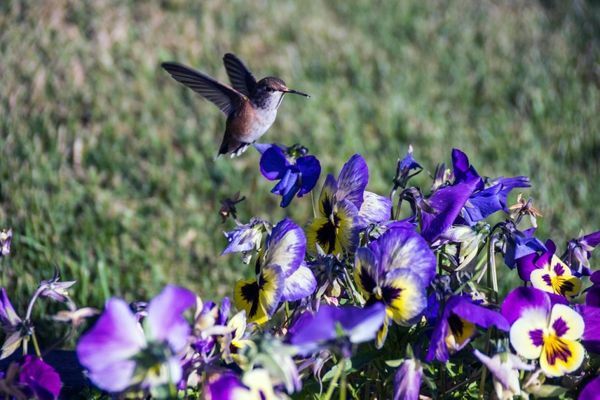 Local residents say the Chilcotin contains the creator’s most beautiful natural works. The land was molded by volcanoes, which left stunning rivers, hoodoos and grasslands, jagged mountains, deep lakes, and ice fields. Grizzlies, caribou, bighorn sheep, mountain goats, moose and deer roam the land along with cattle that often wander unfenced. The Chilcotin is also home to the last leg of Alexander MacKenzie’s journey to the Pacific, the first recorded crossing of the continent in 1793. To experience the same trip, consider hiring an outfitter to guide you through the trail. Visitors return to the Chilcotin year after year for unforgettable fishing, hiking, canoeing, horseback riding, snowmobiling, and cross-country ski trips. A helicopter tour will take you to one of several wilderness destinations, including Mount Waddington, the highest peak in British Columbia, towering 4,016 m (13,052 ft) over the landscape below. In the south of the Chilcotin is the town of Lillooet, accessible from Vancouver via the Sea-to-Sky Highway (Highway 99), which passes through Whistler and turns east to take you over the Duffy Lake Road, eventually descending into the town. Lillooet, was Mile 0 of the Old Cariboo Highway during the gold-rush days of the 1860s. Prospectors and settlers made their way north up this highway that is now called the Cariboo Gold Rush Trail (Highways 99 and 97). Lillooet it situated on the banks of the mighty Fraser River, affording visitors a wonderful display of nature’s beauty. Those who arrive from the south either by rail or road will see some of British Columbia’s most awe-inspiring sights from roaring river canyons to majestic mountains. From Lillooet you can head west on a paved road along Carpenter Lake to the settlement of Gold Bridge. This community was the centre of what once was the richest gold producing pocket in British Columbia. Today the draw is the outdoors, wildlife viewing, fishing, snowmobiling and backcountry skiing. The backbone of the Chilcotin is Highway 20, which runs for 456 km (285 mi) from Williams Lake to Bella Coola, linking the Central Coast with the Central Interior as it crosses the Coast Mountains and the Chilcotin Plateau, including Tweedsmuir Provincial Park and Farwell Canyon. Highway 20, also known as the Chilcotin Freedom Highway, is well worth taking two or three days to drive. Approximately 400 kms (240 mi) are paved and the remaining 57 km (35 mi) are gravel. Driving from Williams Lake west to Bella Coola on the coast, there are a number of stopping points and small communities to explore. Sheep Creek Bridge, just west of Williams Lake offers spectacular views of the Fraser River. Riske Creek, 46 km (29 mi) west of Williams Lake, is the site of the earliest established ranches in the area. Farwell Canyon is located 15 km (9 mi) south of Riske Creek along Farwell Canyon Road. The Chilcotin River cuts deeply into sandstone cliffs and Native pictographs can be seen on the overhang, south of the bridge. Further along the highway is Hanceville or Lee’s Corner, home of Norman Lee’s original ranch. Alexis Creek, 114 km (71 mi) west of Williams Lake, is named after Chief Alexis of the Chilcotins, who was Chief during the time of the Chilcotin War. Near Alexis Creek are Bull Canyon and Battle Rock, sites of numerous fierce battles fought against the Chilcotin, who were defending their territory against invasions by the Shuswap and Bella Coola tribes. 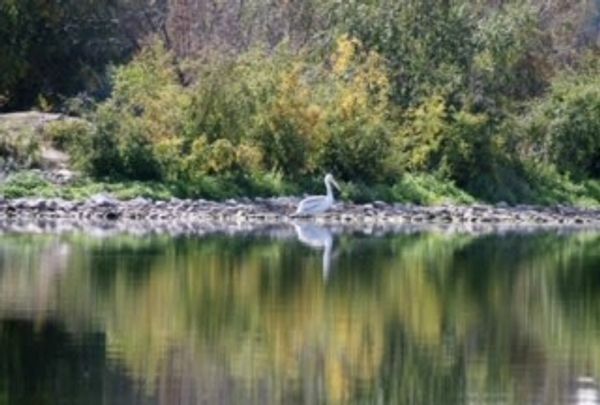 Puntzi Lake at Chilanko Forks has numerous White Pelicans, which call the lake home in the spring and summer and Trumpeter Swans which live there from the fall to the waters freeze over. Tatla Lake, 44 km west of Chilanko Forks, is near the western edge of the Chilcotin Plateau and is a great place to take in a helicopter tour of wilderness destinations including a trip to Mount Waddington. 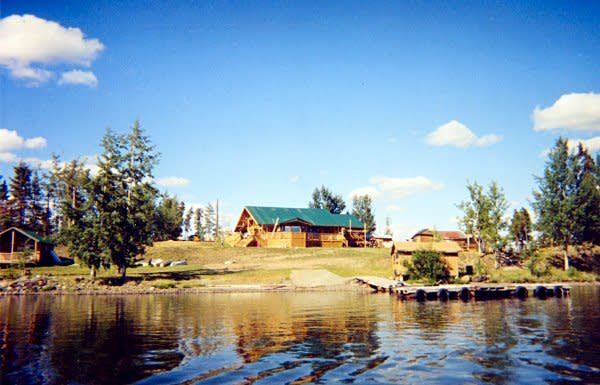 South of Tatla Lake is Chilko Lake (80 km (48 mi) along gravel road) which is located in the Ts’yl-os Provincial Park. The lake is the largest, natural, high-elevation fresh-water lake in North America. The tiny settlement of Kleena Kleene, 35 km (22 mi) west of Tatla Lake is in a beautiful valley. Heading towards Nimpo Lake from Kleena Kleene is the turnoff to Charlotte Lake, located approximately 40 minutes from Highway 20. 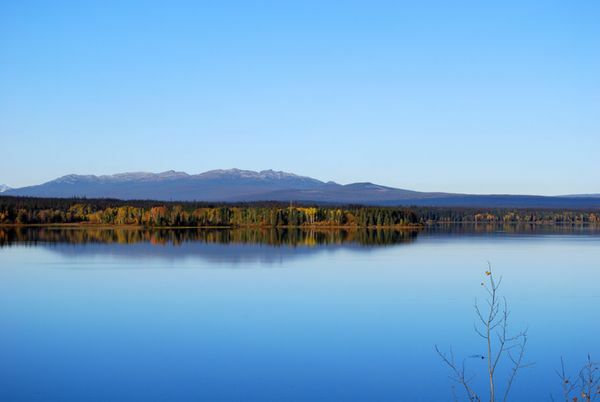 A beautiful pristine lake, it is a favourite for fly-fishers for its trophy-sized rainbow trout and for bird watchers interested in loons, bald eagles, trumpeter swans and other birdlife. Nearby are rare wildflowers and alpine lakes. North of Kleena Kleene is Nimpo Lake, departure point for flights into remote fishing lakes and rivers and is known as the Floatplane Capital of British Columbia. 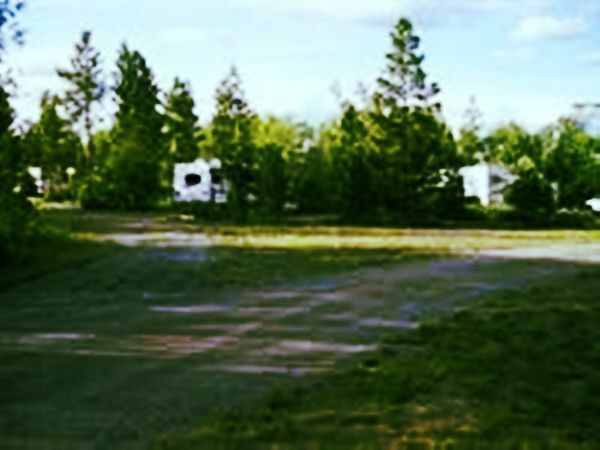 Nimpo Lake is the busiest fly-out centre in the interior of BC, for aerial sightseeing tours and fly-in fishing trips into the pristine and remote wilderness lakes and rivers of the Chilcotin. Anahim Lake is located 15 minutes from Nimpo Lake and is named after a Chilcotin chief. Home of the “Old Fashioned Wild West Rodeo” each July, Anahim Lake and area offer interesting sights and activities for the visitor. It is also the last community before entering Tweedsmuir Provincial Park, an outdoor adventurer’s “heaven”. Nearby Anahim Peak offers some history plus a spectacular view of a pillared cone of volcanic rock. This mountain yielded obsidian, the important trading commodity for the Chilcotins and was used extensively for weapon making. Just north of Anahim Lake is the Dean River Road where you can follow the Dean River and view the Rainbow Range. After Anahim Lake is Tweedsmuir Park which is the start of the Central Coast region.